Money management can be very stressful but only if you over-complicate it. Having a well-organized system for keeping an eye on your expenditures and income is the best way to ensure you can live within your means and not end up in any dangerous financial situations. Of course, unexpected costs and bills can arise but if you’re smart about the way in which you manage and save your money then you should have a nice safety net in place for even the most unpredictable emergency. Perhaps this sounds great to you in theory but you’re not sure how to put good money management strategies into practice. Perhaps you’re already in a tough financial situation and you don’t know how to pull yourself out of that downward spiral. You shouldn’t panic because anybody can recover from even the worst hit to their finances. Here are some money management techniques that will help you to make looking after your accounts far simpler. It’s an obvious piece of advice that the majority of us forget to follow. It sounds like it’d be time-consuming and exhausting to do but if you create a strong monthly budgetary plan today then you’re set for life. 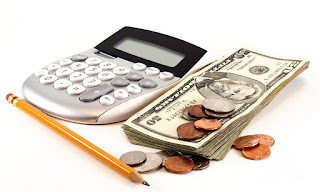 You might have to make tiny changes to it now and then when circumstances change in your lifestyle but the point is that making a budget doesn’t have to be as complicated or exhausting as you might imagine. Start by noting down the costs of all your monthly necessities; rent, petrol, food, and other bills. Then make a note of your monthly earnings. The money left over is your disposable income but anybody who manages their money smartly knows that this doesn’t have to equate to “spending money”. The key thing is that you have some sort of budgetary plan in place. You could head over to https://www.doughroller.net/budgeting/is-the-50-20-30-budget-a-good-rule-of-thumb/ to get inspiration from the 50/20/30 rule; 50% of your income goes towards necessities, 20% goes towards savings, and 30% goes towards luxuries. Of course, what you have to understand is that everybody’s financial situation is different; depending on your work, home life, and fees or bills that you have to pay, you might have to develop a different budget to suit your needs and spending ability. As we’ve explained before, you need to sort out your debts before anything else, so ‘luxury spending’ is something that you should put on hold if you owe money; otherwise, you’ll keep putting off debt repayments and continue to owe more and more money. It’s so important to focus on savings in life. You don’t have to save all of your disposable income, of course, but you should put aside a good portion of it on a regular basis, as mentioned above. It isn’t enough to just put a little bit of change in a jar now and then; that’s a good idea but it isn’t going to provide a sizeable savings fund for you and your family. Make sure you put aside a portion of your earnings into a savings account every month (or even every week) so as to ensure you keep on top of building up your safety net for a rainy day. As mentioned earlier, you can save a lot of money in life simply by practicing restraint towards all the luxuries you want to buy. That doesn’t mean you should never treat yourself to anything again but you should try the 30-day rule. If you see something expensive in a shop and find yourself drooling over it, leave it for 30 days. If you still want it after that time has passed then you can buy it; if you’ve forgotten all about that item then you probably never wanted it. Again, as mentioned when we discussed budgeting, just make sure you always live within your means. Keep track of how much disposable income you have available each month. Of course, reducing your expenses can extend towards necessities as well as luxuries. Start looking towards the money you spend at home as well as away from home when you want to reduce your monthly expenses. For example, as suggested over at http://www.goodhousekeeping.com/life/money/advice, you can save a lot of money on your energy bills every day by simply taking a few seconds out of your day to turn off appliances at the power source. It wastes a small amount of electricity on a constant basis (which adds up to a lot of money every year) if you leave things turned on at the wall when they’re still plugged in (even if you turn your TV off on the device, energy is still running to it from the wall). Small changes such as limiting showering time and insulating your house better to trap heat are also ways to reduce your utility bills. Think about the amount of water and electricity you waste on a daily basis if you want to start reducing your expenses.